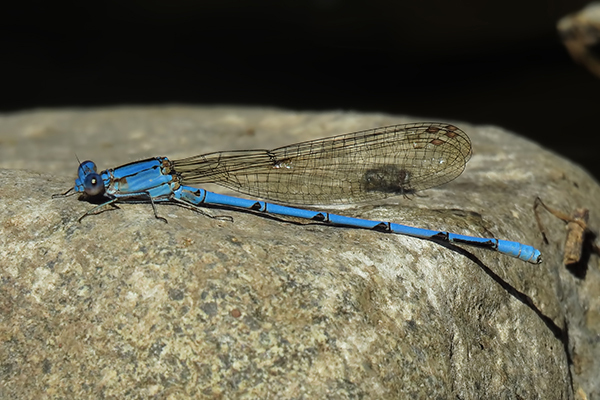 The Cerulean Dancer had never been found in the US until 2012, when a male was discovered in Sycamore Canyon, Santa Cruz Co., in September. 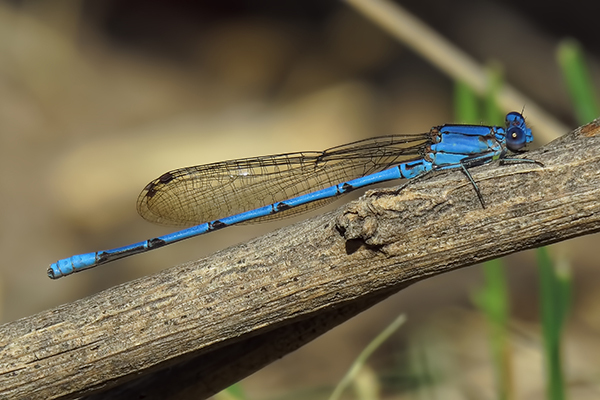 Since then the species has been observed at more than five other locations in Southern Arizona, with a maximum of four individuals found on 31 October 2014 at the Sonoita Creek State Natural Area, Santa Cruz Co. 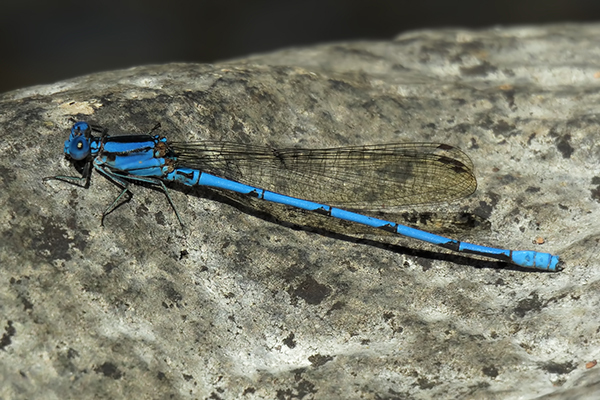 Seven males of this species (five of which shown below) were seen at that same location on 15 November 2014. 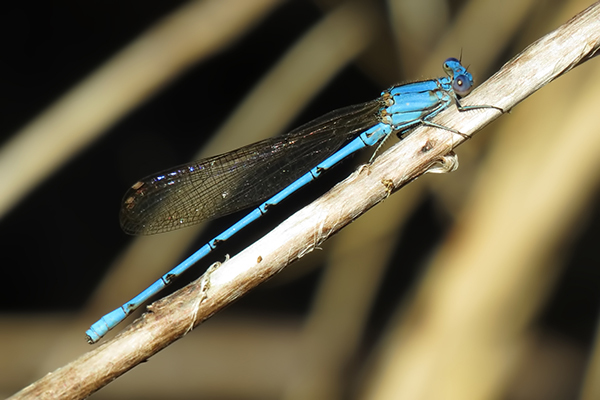 This number of individuals is the highest ever recorded in the US at any location and at the same time, and the observation extends the known flight period of this species in the state. 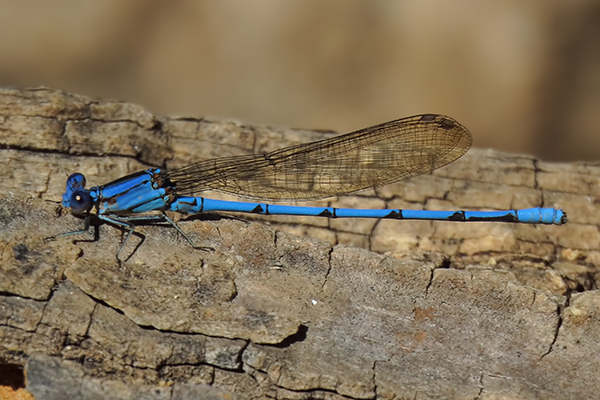 Of note, no female Cerulean Dancer has yet been observed North of the Mexican border. Thus it is unknown whether the above individuals are vagrants from populations south of the US or if the species breeds in Arizona.